Allergy recipes for kids with gluten, dairy and other intolerances. These are the easy ingredient swaps you can make if your child has allergies. Food allergies and sensitivities amongst children are on the rise, making it an increasing source of stress and concern for parents and caregivers. Although there is now better understanding on what causes allergic reactions, it still remains an emotional and ongoing daily challenge for families who are all too familiar with the unpleasant symptoms and suffering, when their children have adverse reactions to certain foods. The most common foods associated with allergies and sensitivities include wheat (gluten), dairy, nuts and eggs; and since these ingredients are common in everyday recipes and groceries, it makes mindful eating difficult for children with allergies or intolerances and a minefield for adults to navigate. A further consequence for children who experience illness and discomfort after eating certain foods, is to become more fussy and reluctant to try new foods. It’s for this reason, that extensive information around food allergies, intolerances and sensitivities are covered in the Wholesome Child Book, as well as strategies to address repetitive and fussy eating. All of the recipes contained in my book are clearly denoted as gluten-free, wheat-free, dairy-free, egg-free and/or nut-free – and suggestions are offered for allergy-friendly substitutions too, where applicable. With a few simple ingredient swaps and recipe substitutions, your child (and family) can still enjoy a nutritious and varied range of healthy food, despite the challenges caused by intolerances or allergies. Coeliac disease vs. gluten intolerance vs. wheat allergy. Wheat allergy is caused by an immune response to one or more of the proteins found in wheat (this can include gluten). Symptoms are gastrointestinal and include nausea, vomiting, diarrhoea, bloating and constipation. Other symptoms can also include hives, rash, nasal congestion, mouth or throat irritation as well as mood and behaviour disorders. This can be managed, and the symptoms treated through a strict adherence to a wheat-free diet and lifestyle. Gluten intolerance exists when there is an intolerance to gluten or other wheat components. Symptoms commonly include diarrhoea, bloating, abdominal pain as well as constipation. Sufferers can also experience brain fog, neurological disorders, joint pain, fatigue as well as mood and behaviour disorders. Again, this can be managed and resolved through an adherence to an appropriate gluten-free diet. Coeliac disease is the most severe, and a result of a genetic autoimmune disorder whereby gluten indigestion triggers damage to the small intestine. Symptoms include diarrhoea, constipation, nausea, vomiting, flatulence, cramping, bloating and abdominal pain. Left untreated, it can cause weight loss, malnutrition, iron deficiency, dental cavities, low bone density, skin issues, neurological disorders, liver dysfunction, joint pain, hair loss and fatigue. Strict adherence to a gluten-free lifestyle makes this disease manageable, and when followed, allows those affected to thrive. Coeliac disease, gluten intolerances and wheat allergy substitutions. If your child has coeliac disease, gluten intolerance or a wheat allergy (or if you simply want to reduce the amount of gluten in their diet), try alternating with gluten-free grains such as rice, millet, buckwheat or quinoa. Experiment with non-grain flours such as arrowroot flour, almond flour, coconut flour and tapioca flour in place of wholemeal flour. Lettuce, cabbage leaves or nori sheets can be a delicious and excellent replacement for traditional wraps, too. Lactose intolerance vs. cow&apos;s milk allergy. Lactose intolerance is caused by the body having insufficient lactase to digest lactose. Uncomfortable but not dangerous, this can result in stomach pain, bloating, gas and diarrhoea. Resolved through either restriction or removal of all dairy containing products. Most sufferers can generally enjoy lactose-free milk options, or other low-lactose dairy options. Cow&apos;s milk allergy is far more severe and caused by an immune response to one or both milk proteins. Symptoms include vomiting, hives, diarrhoea, wheezing and sometimes even life-threatening anaphylaxis. If there is any family history of dairy allergy, then it&apos;s important to look out for the following signs of sensitivity: eczema flare-ups, loose stools, ear infections, constant runny noses, bloating, cramps and/or rhinitis. Lactose and cow&apos;s milk allergy substitutions. If your child is allergic or intolerant to dairy and you&apos;re concerned about their calcium intake, don&apos;t despair. There are a host of other non-dairy rich sources of calcium - many of which contain more diverse nutritional benefits than cow&apos;s milk anyway e.g. sardines with bones, canned salmon with bones, meat broths, sesame seeds, tahini, hummus, almonds, rhubarb, dried apricots, oranges, limes, kiwi fruit, broccoli, kale and leeks are all great sources of calcium. If your child (over the age of one) suffers from dairy-based intolerances or allergies, it&apos;s best to replace milk in recipes with the following alternatives: rice milk, almond milk, coconut milk (or cream), oat milk, soy milk or hemp milk. By using these alternatives, children can still enjoy a wide range of nutritious meals and recipes despite their intolerance to dairy. NB: Non-dairy alternatives in the form of rice milk, almond milk, coconut milk, oat milk, soy milk or hemp milk shouldn&apos;t be used as a milk replacement for babies. They can be used in cooking and baking, provided no nut or associated allergies exist. From age one to two they can be used as part of a balanced diet, please see Dairy chapter in Wholesome Child: A Complete Nutrition Guide and Cookbook for full details on how to choose the best option for your child. An experts shares the best way to raise a child who won&apos;t be fussy about food. Post continues after audio. 1 tablespoon of ground flaxseeds and 3 tablespoons of water (it&apos;s important to refrigerate for at least 15 minutes before adding to the batter). 1/4 cup sweetened apple sauce and 1/2 a teaspoon additional baking soda. Wholesome Child&apos;s allergy friendly recipe inspirations. Rich Chocolate Black Bean Brownies - gluten-free, dairy-free and nut-free on pg. 119 of of the Wholesome Child Book. 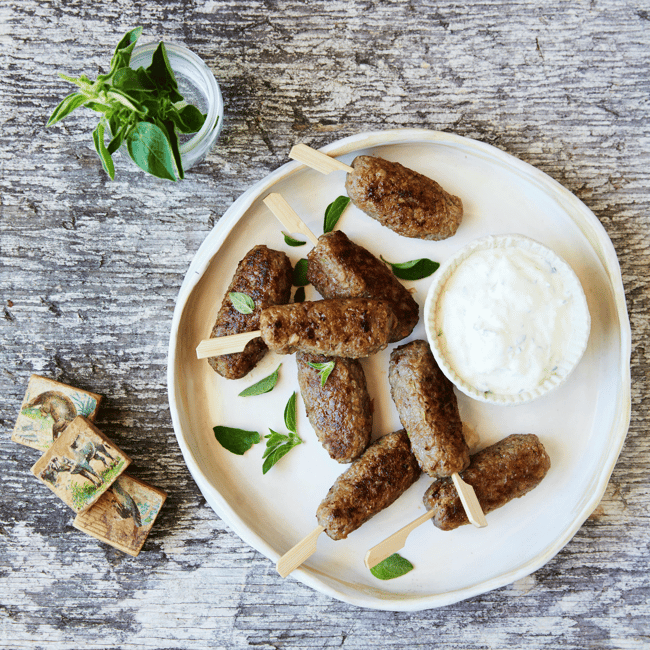 Wholesome Child allergy friendly recipes.Wholesome Child&apos;s Lamb Koftas. Image: Supplied. 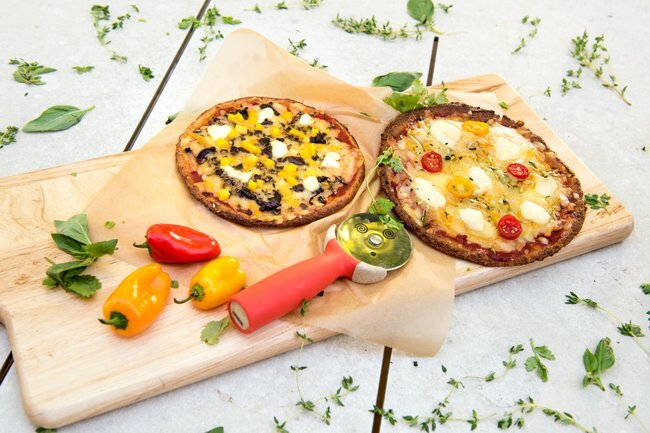 Wholesome Child allergy friendly recipes.Wholesome Child&apos;s Cauliflower Pizza. Image: Supplied. 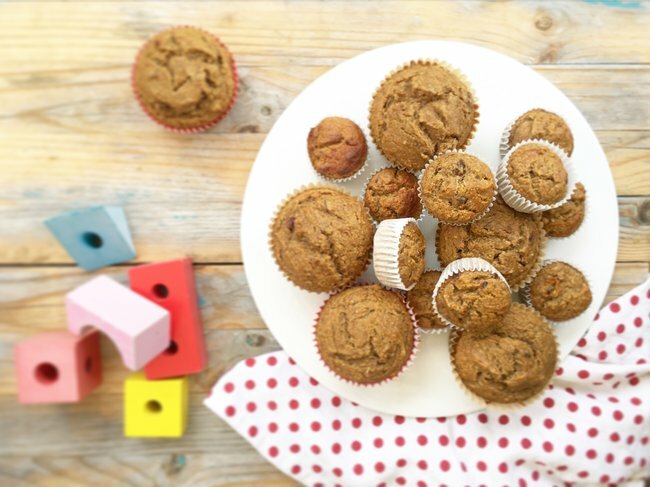 Wholesome Child allergy friendly recipes.Wholesome Child&apos;s Banana Muffins. Image: Supplied. 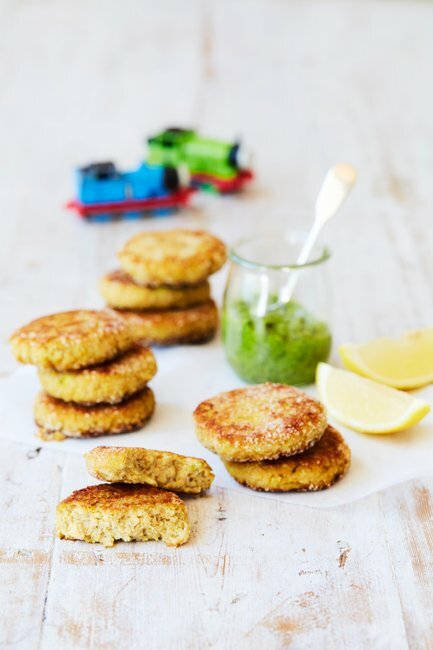 Wholesome Child allergy friendly recipes.Wholesome Child&apos;s Salmon Millet Rissoles. Image: Supplied. This article is in no way intended to replace qualified medical practitioner advice. If you suspect that your child may have food allergies or intolerances, always consult your GP, paediatric dietitian or healthcare professional to discuss needs. 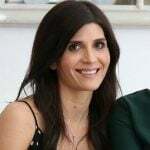 Mandy Sacher is a paediatric nutritionist, mum and author of the Wholesome Child Complete Nutrition Guide and Cookbook, which includes a host of nutritional information and guidance, along with over 140+ allergy-friendly recipes and a range of menu planners suitable for busy families. Available to purchase online or via iTunes. Connect with Mandy on Instagram and Facebook. For more information contact Mandy Sacher. You can also watch Mandy make her healthy chocolate spread in the video below.